The National Care Forum represents the interests of not-for-profit health and social care providers in the United Kingdom. Our members, organisations represented by their CEO’s, are not-for-profit providers of quality care and support services. 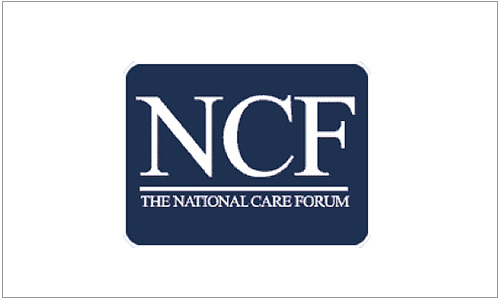 Our history and aims: Formally constitued in 2003, and built on 10 years experience as the Care Forum, NCF has been promoting quality care through the not-for-profit care sector for 20 years and has become a leading voice in the sector. The NCF is governed by our Board of Directors, who are elected by the membership, and assisted by the NCF staff team, headed by our Executive Director, Vic Rayner. We keep our members up to date with news and developments in the care sector and provide opportunities to meet and share ideas and best practise through our regular forum meetings, annual conferences andevents, membership benchmarking surveys and reports and the now legendary weekly updates from Vic Rayner.